I am beyond excited to introduce you to Ido Kedar’s In Two Worlds, a beautifully written, powerful novel about life with non-verbal autism. Some months ago, I teased you by telling you that I was helping edit an extraordinary novel and that I would let you know as soon as the book was published. Today is that day. I am incredibly excited to introduce you to In Two Worlds, by Ido Kedar. It’s currently available only in hard copy, but I understand that it will soon be available in e-book form too, both on Amazon and Smashwords. In Two Worlds tells the story of Anthony, a boy with non-verbal autism. When the book begins, seven-year-old Anthony is completely locked-in: He understands everything around him, but is unable to communicate and has only limited control over his body. His loving parents are doing everything they can for him, but only Anthony knows what the expert advice and programs fail to comprehend — and therefore to treat — which is that there is a complete human being buried under the compulsions and trapped in the silence. Meanwhile, Anthony’s behaviors upset the balance at home and keep him trapped in an education program aimed at children who are incapable of learning. Over the next 300 or so pages, this elegantly written book takes the reader through the next decade in Anthony’s life, as he struggles against his own physical limitations and the systemic constraints under which he’s forced to operate, and then, at long last, as he is introduced to a new program that brings him out of the world of Autismland and places him firmly in real life. In Two Worlds is beautifully structured, because as Anthony’s world expands, the reader’s view of his world expands too. That is, while the book is almost invariably written from Anthony’s viewpoint, as he matures and begins to see and understand what other people are doing and experiencing we, the reader, also begin to understand what drives those around him. Each character in the book is exquisitely delineated. Even though it’s apparent that some characters exist to represent a point of view within the world of autism (autistic children, educators, family members, experts), all are well-rounded individuals, rather than cardboard ciphers. In this regard, it’s important to appreciate that Ido hasn’t written a preachy polemic; he’s written a rich, full, well-rounded novel — although don’t be surprised if you come away having learned important things about autism and about the world in which Americans with disabilities, and their loving, frustrated, frightened families, function. Those who think Gone With The Wind is a love letter to the Old South are wrong; it is, instead, a savage indictment of a deeply corrupt society. I first read Gone With The Wind when I was 12. I remember vividly what a brilliant emotional ride it was. Of course, I didn’t share Scarlett’s passion for the weak Ashley Wilkes. Instead, I fell madly in love with Rhett Butler, a love I promptly transferred to Clark Gable when I saw him play that same iconic role a few months after I read the book. I didn’t particularly like Melanie Wilkes, who was too much of a goody-two-shoes for me, but I know that I wept buckets when she died at the book’s end. Her death upset me more than the fact that Scarlett and Rhett parted at the end. As for Scarlett herself, I was ambivalent. I admired her beauty and her passion, but hoped never to meet someone like that — a woman who had a disruptive effect, almost invariably negative, on every life she touched. More than anything, though, what I remember is that, Gone With The Wind left me thinking that the Confederates got a rough deal when they lost the war because they were so brave and so passionate. Looking back, I think it was the 1939 movie, more than the book, that created that impression. David O. Selznick did everything he could to romanticize the Confederacy, going far above and beyond what Margaret Mitchell wrote — which is really what I want to talk about in this post. Before I get to the Confederacy as a whole, though, I need to address up front the race issue. As an ignorant 12-year-old, I remember thinking vaguely (to the extent I thought about the subject at all), that slavery couldn’t be that bad because so many of the fictional black people in Scarlett’s life were surprisingly powerful figures. Again, the movie exacerbated that sense, especially because Selznick gave the brilliant Hattie McDaniel a prominent role. Her Mammy, like Melanie Wilkes, is such a powerful moral figure that it’s hard to remember the endless indignities under which McDaniel and all the real “Mammys” of the South labored. Thankfully, one of the things the Civil Rights movement did was to help late-20th century Americans understand what their 19th century Northern ancestors already knew about an institution that played out in real time before their eyes: Slavery has no redeeming features. It is an act of indescribable immorality and cruelty to deprive another human being of liberty without due process (as is the case with convicted criminals), merely because that person had the misfortune to fall into the power of a slave-owning society. A very special novel — exquisitely written and plotted, and fascinating in its subject matter — will be published in a few months. I mentioned several posts ago that I spent part of a weekend doing a gentle edit (typos, punctuation, etc.) 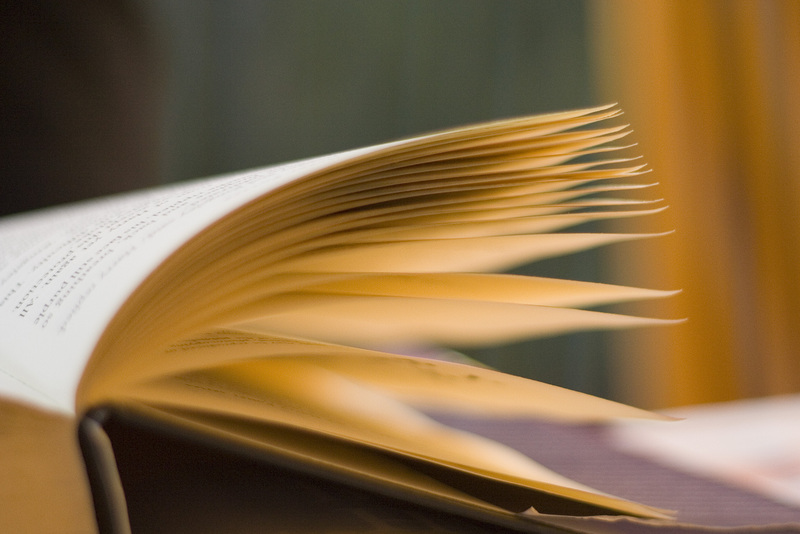 on a manuscript that, when published, everyone, from young adults on up, should read. I’m now in a position to give you an official update. I can’t write swiftly like a ten finger typist would since I can only point to letters or type with one index finger. While the labor is intense for Ido, the benefits for the reader are enormous. The book is Hemingway-esque in its pointed brevity. There are no wasted words or thoughts. Everything is there because it needs to be there. Photo credit: Dylan Fogarty-MacDonald, Pages of a Book. Creative commons; some rights reserved. Eric Cline’s “1177 B.C. : The Year Civilization Collapsed,” about the Bronze Age collapse, is only $5.98 in the Kindle Edition. I can’t wait to read it. I haven’t yet read Eric Cline’s 1177 B.C. : The Year Civilization Collapsed , but I have heard about the practically simultaneous collapse of the great Bronze Age civilizations. It’s a subject I’ve been meaning to explore, but what with one thing and another . . . well, I never did. However, I discovered that the Kindle edition of this much-lauded 2014 book is available for $5.98. I don’t know if that’s a temporary sales price or the permanent price. All I know is that it was such a good price on what is supposed to be such a good book that I instantly bought it. I plan to start reading it tonight. In a few months time, I also hope to be able to direct you to a spectacular novel. I’m helping edit it now and, while I cannot tell you anything about it yet, you’ll hear from me when it’s available. It’s by a new, young writer, and it is simply phenomenal in terms of plot, character development, the author’s voice, the message . . . everything is special. I would be very surprised if the book doesn’t garner a very large audience. I promise that, the moment the book is available, I’ll tell you all about it. 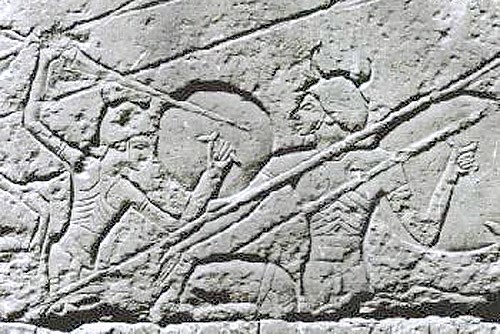 But for now, when I walk away from my computer for the evening (where I’m doing gentle editing so as not to destroy the young author’s amazing voice), I’ll be reading about the Bronze Age collapse, and wondering and worrying whether there are parallels to be drawn to today’s world. One of the best things about discovering a writer you like early in that writer’s career is to watch him mature as a writer from good (he must have been good because you liked him from the get-go) to very good. Dennis Koller has followed exactly that trajectory. I discovered Dennis when I got hold of a copy of his first book, The Oath (Tom McGuire Mystery) , a remarkably prescient book that he published in 2000. When I reviewed it in 2014, I couldn’t get over how closely the book paralleled some issues that appeared during the Obama presidency. As a courtesy, I sent a link to my review to Dennis, who is a Bay Area native and placed parts of the book quite near the area in which I grew up. He wrote back, I responded, and before I knew it, I’d made a wonderful new friend. He is everything I like in a man and an author: well-informed, upbeat, enthusiastic, highly principled, funny (on purpose), and married to a wonderful, beautiful woman whom he adores. He is also endlessly imaginative. For him, everything is fodder for a book. It was therefore no surprise to me that I also enjoyed Dennis’s imaginative second book, Kissed By The Snow , which I reviewed here. It should that Dennis’s ability to come up with a really clever, often thought-provoking MacGuffin, and then carry a strong plot around it, wasn’t an accident in his first book — all with a little history on the side. Dennis is now on the verge of publishing his third book — The Custer Conspiracy — and I was fortunate enough to get a review copy. I’m sure it won’t surprise any of you if I say that I liked the third book every bit as much as I liked the first two, and for precisely the same reasons: deft, uncomplicated writing; easy, natural dialog; clever plotting; likeable characters (if they’re on the side of truth, justice, and the American way); a strong narrative flow with an exciting conclusion; and some fun nods to current news that will probably intrigue and delight informed conservative readers. In the wake of Voldemort’s perverted resurrection, The Order of the Phoenix centers on Harry’s desperate efforts to convince the Powers That Be that evil once again walks among them. What Harry discovers is that nobody wants to hear him. He is reviled as a liar, attention seeker, and trouble—maker. Dolores Umbridge, who is the ultimate smug bureaucrat, with grim smiles mires Harry in endless, aimless tasks, all intended to reduce his ability to focus on Voldemort’s existence. Only with tremendous effort is he able to rally some believers to his side and prepare them for war. I don’t pretend to know what J.K. Rowling was thinking when she wrote Order of the Phoenix, but I can’t help but see in this post—9/11 book a perfect analogy to the situation the West faces today, in the real world, in its War against Islamofascism. 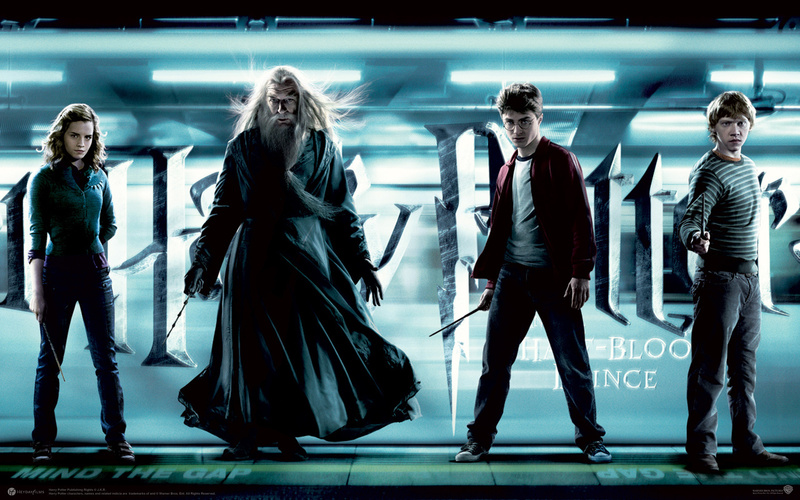 Some of us, like Harry, know that we have seen evil, acknowledge its existence, and are prepared to fight it. But just as Harry must deal with a government Ministry bound and determined to explain away or ignore the evil in its midst, we too face an anti—War movement that endlessly ignores, explains away, and excuses the most vile acts of terror and human degradation. I have to believe, however, that there are at least some young people who experienced the Twin Towers falling as the formative event of their youth, and who will find guidance and inspiration in Harry’s struggle to wage overcome both evil itself and a cultural indifference to that same evil. Rowling’s dark tone continues unabated — indeed, it deepens — in Harry Potter and the Half—Blood Prince. . . . As Half—Blood Prince begins, the denouement in Order of the Phoenix, which saw Harry and his allies at the Ministry of Magic engaged in a pitched battle against Voldemort and his Death Eaters, has finally convinced the governing forces in the Wizard world that there is a real problem. There’s an awful lot of plot in Half—Blood Prince that simply moves the characters forward, but the book also contains a powerful defense of a just war. Near the book’s end, Harry questions whether it’s worthwhile engaging in a fight so destructive to the Wizarding community. Dumbledore will have none of this. Essentially, he tells Harry that, in the battle between Good and Evil, those on the side of Good cannot give up, but must press ahead, knowing that they are doing the right thing. Again, I can’t think of any better message for countless young people throughout the Western world to read. Some, at least, will figure out that, despite the worldwide media’s negative drumbeat regarding America and her military, true evil resides in those who gleefully torture and murder in the name of their God. Ken Burns’ epic Civil War documentary came out in 1990. That was during my years as a lawyer in a very big firm and as a single gal enjoying life. My lifestyle then matters because it explains why, back in 1990, I managed to watch only the first episode of the 9-part series. Now that we’ve been to some of the Civil War’s most famous battlefields — Gettysburg, Antietam, Fredericksburg, and Bull Run — my husband and I are taking the time, finally, to watch the Civil War series in full. There’s something about having seen the battlefields, even though they are now green and peaceful places, that makes the series reach me at a visceral level in a way that could never have happened when I was a flighty young thing. The series moves me deeply. If he did indeed say it, it was not an exaggeration. While the abolitionist movement had been agitating for around one hundred years by the time the war started, it was Stowe’s book that took the abolitionists from being a fringe religious movement to one that galvanized the general public. In the North, slavery was suddenly no longer just a peripheral issue that troubled people’s consciences; instead, it was a central issue that drove the South out of the union (“How dare those arrogant Yankees tell us what to do?”), triggering the biggest conflagration in American history. 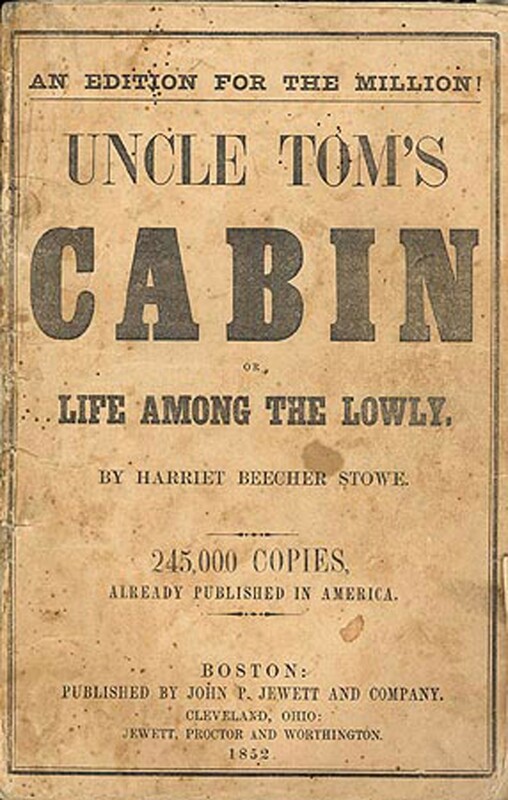 I don’t know how many of you have read Uncle Tom’s Cabin, but I have. It is not a literary masterpiece. Stowe’s prose is the modern equivalent of a dime store novel — but that’s completely irrelevant. What matters is that she is a writer of marvelous narrative power. The characters may be hackneyed, but they are vivid and the slaves’ travails reach out and grab you by the throat. This is especially true for an audience that wasn’t made callous by Jerry Springer and Oprah, and that wasn’t exposed to every image known to man thanks to television and the internet. Mid-19th century Americans carried their true emotions quite close to the surface. Ironically enough, just as Stowe’s book initiated the fervor that led to a war that left more than 600,000 American dead in its wake, I think it was another woman’s book that helped keep Jim Crow alive by creating across America a passion for the romance and gallantry of the old South. I speak, of course, of Margaret Mitchell’s Gone With The Wind, which was published in 1936, and then kept alive for generations of Americans thanks to one of the best movies ever made in Hollywood. I first read GWTW when I was 12, and probably read it annually for the next six or seven years. I read so often because, at least to my adolescent self, it was one of the greatest, and most tragic. romances ever written. Scarlett O’Hara is a deeply flawed character who ought to be despicable because of her grasping, greedy, self-centered ways. That she is not — that she is peculiarly compelling and that her valiant spirit causes us to feel for her even at her worst — makes her something of a metaphor for the pre-war South itself, at least as Mitchell wrote both the character and the culture. While Southern culture may have been wedded, selfishly, to an utterly evil institution, Mitchell brought to that society the same fire, charm, courage that Scarlett had herself. Her characterization of a lost time touched many people who still had enough moral center to condemn slavery. Scarlett’s travails — which are also the travails of a war-torn South (and it’s worth remembering that, barring the foray into Gettysburg and some skirmishes out West, Union soil and towns saw no battles) and a Reconstruction South — inevitably elicit sympathy. How can they not? Even though Scarlett and the South were in the wrong, their sufferings were very real and their attempts to cope with that suffering had a peculiar courage. Moreover, Margaret Mitchell, unlike Harriet Beecher Stowe, was a good writer. GWTW may not be great literature, but it’s damn good writing, so the reader inevitably begins to empathize with the lead characters — and the South itself is the true lead in this grand tragedy. 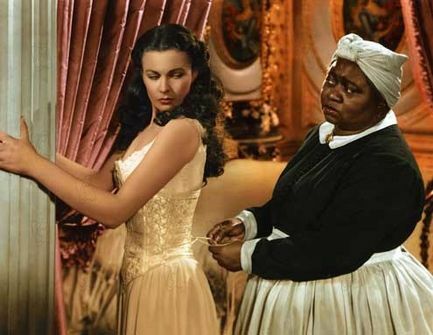 GWTW also taught a generation of Americans who had little contact with black people that blacks were a fundamentally childish race and therefore were always at their best when they had good whites to look up to and take care of them. Certainly, when I was a child, the romanticized world of GWTW’s beloved house slaves (especially Mammy) seemed infinitely preferable to the realities of South Central LA, Watts, or other major American slums. My immature mind concluded that anyone with half a brain could see that it was nicer to wear clean, bright clothes, and scold spoiled Southern heiresses while lacing them tightly than it was to live in a modern American housing development. It was actually quite a while before I was able to understand that slavery is so intrinsically evil, and so at odds with core concepts of human individualism and liberty, that it can never be accounted a good thing, no matter how superficially pleasant it may appear. I think it was this eventual understanding — when I cast off the last shackles of “Gone-With-The-Wind-ness” — that also enabled me to understand that a welfare state is just another form of slavery. And when I say “welfare state,” please understand that I am not referring to a moral country that cares for its old and weak, its helpless and frail. Instead, I am referring to a country that systematically tells vast swaths of its citizens that they are better off living the most marginal existence possible at the government’s expense, than they would be were they to strike out on their own. The only difference in modern slavery is that the slaves are instructed not to work (“white privilege owes you”), than being instructed to work (“you owe white privilege”). Either way, the new slaves have been deprived of the ability to learn the skills and make the decisions that are the hallmarks of a free people. I’m a more bookish person than most, but I am quite convinced that Margaret Mitchell’s powerful, romantic, tragic, gilded view of the South before, during, and after the Civil War allowed Jim Crow and other depredations against blacks to continue long after they should have died a natural death. Just as Stowe brought a generation of Americans to realize the horrors of slavery, Mitchell made a whole new generation see the beauty of a society built upon slaves’ backs and to believe that this society was as good for the slaves as it was for their masters. UPDATE: Patrick O’Hannigan offers a typically insightful and thoughtful challenge to my post, arguing that a much more powerful book, by a much greater American writer, helped offset any message she created. Earlier today, I told you that the Kindle edition of Nien Cheng’s autobiography is on sale for only $1.99. 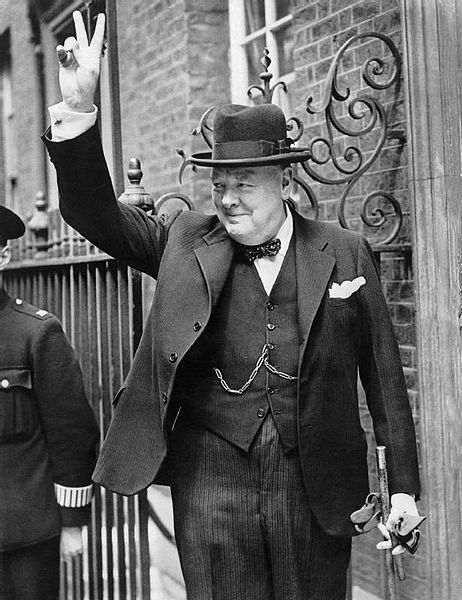 Thanks to a friend, I can also tell you that, starting today, and ending Saturday, you can get the Kindle versions of all eight volume’s of Winston Churchill’s official biography for free. What an extraordinary opportunity. I’m diving for my iPad the second I finish typing this so that I can download my copies.